Braii (BBQ) Season is in full swing here in South Africa. Driving through the neighborhood you can actually smell the braiis blazing. And that incredible smokey smell has me craving Hawaiian Steak. Hawaiian Steak is another one of my favorite dishes at Houston’s, a U.S. restaurant chain. It’s steak with a scrumptious sweet and salty marinade that has complex notes from ginger, garlic and vinegar. 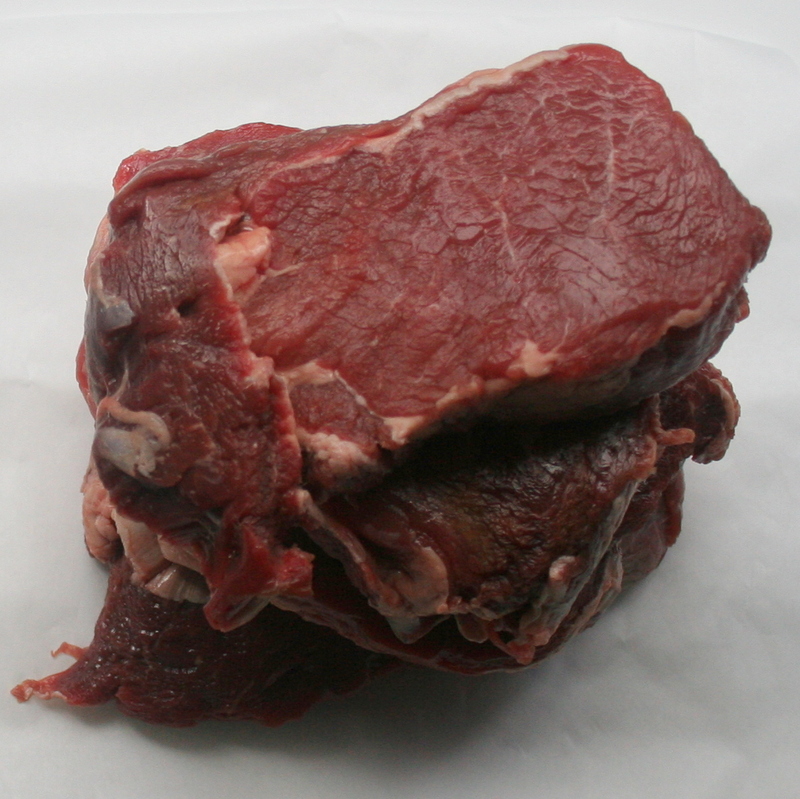 Meat 4 – 6 Steaks of your choice. I have used Rib Eye and Sirloin. I prefer the Sirloin. To a small sauce pan, add the pineapple juice, soy sauce, vinegar, brown sugar, garlic and ginger. 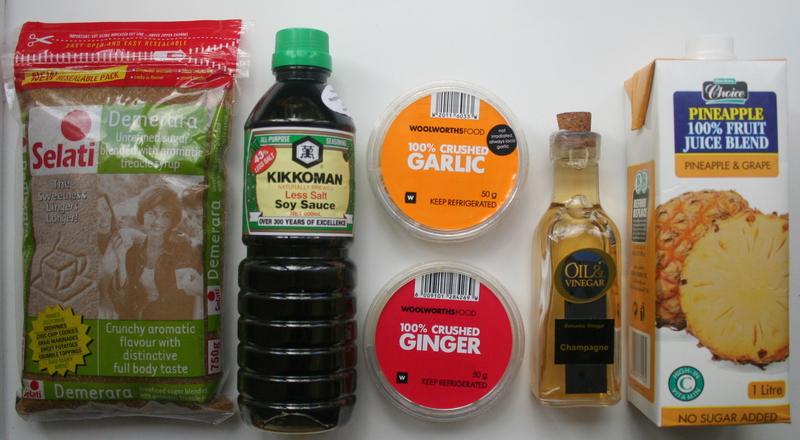 Give marinade a stir. Over medium heat, cook until it starts to boil. Remove from heat. Set aside allow to cool completely. 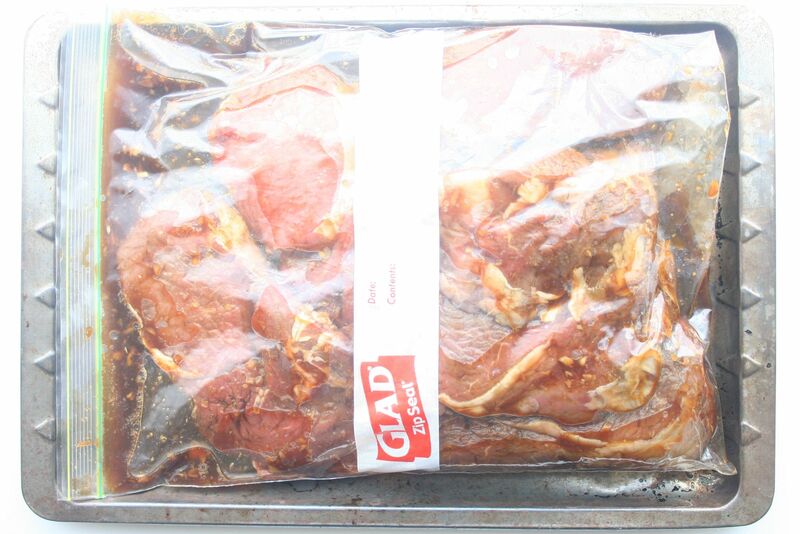 Put the steaks in a large zip lock plastic bag. 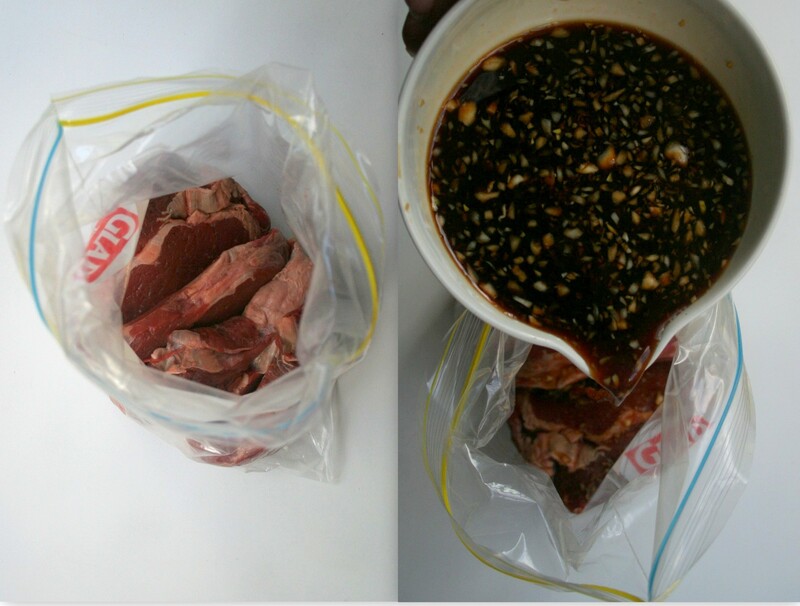 Pour in the cooled marinade and seal the bag. Place the bag on a baking sheet and put in the fridge overnight. Flip the bag several times. 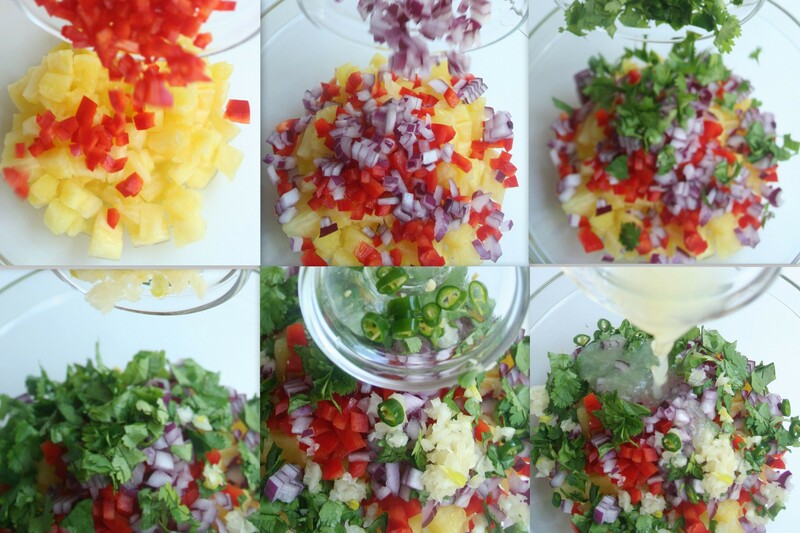 Pineapple Salsa Pineapple – Lime – Red Onion – Red Pepper – Fresh Coriander (Cilantro) – Chili – Garlic – S & P – Hot Sauce Optional (Not Pictured) Note: You can make the Pineapple Salsa the day before. Just don’t add the red onion until ready to serve. The red pigment from the onions may give the other ingredients a pink tint. 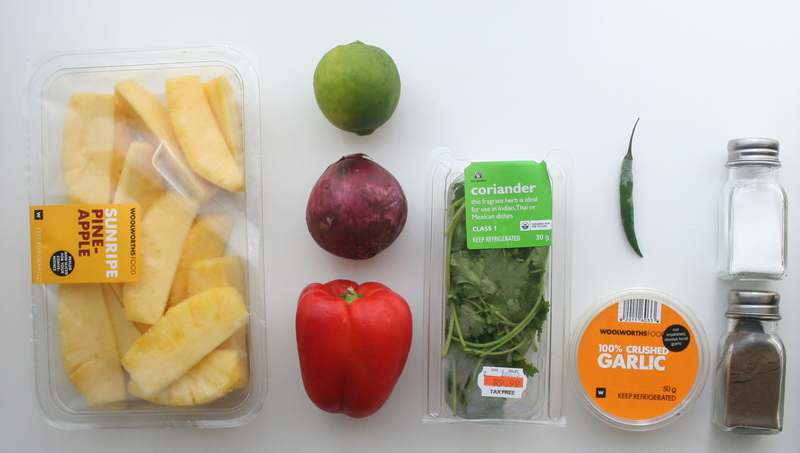 To a bowl, add the pineapple, the red peppers, red onion, coriander, chili garlic and lime juice. Add salt, pepper and optional hot sauce to taste. Place in fridge until ready to serve. Grill or broil the steaks to your liking. The sugar in the marinade gives the meat a rich caramel color. Let the meat rest for a few minutes. Top steaks with salsa and serve. 4 – 6 Steaks of your choice. I have used Rib Eye and Sirloin. I prefer the Sirloin. 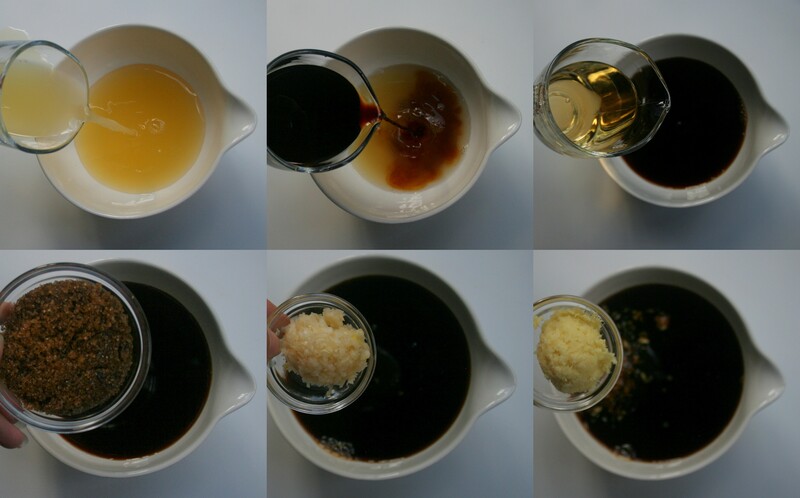 To a small saucepan, add the pineapple juice, soy sauce, vinegar, brown sugar, garlic and ginger. 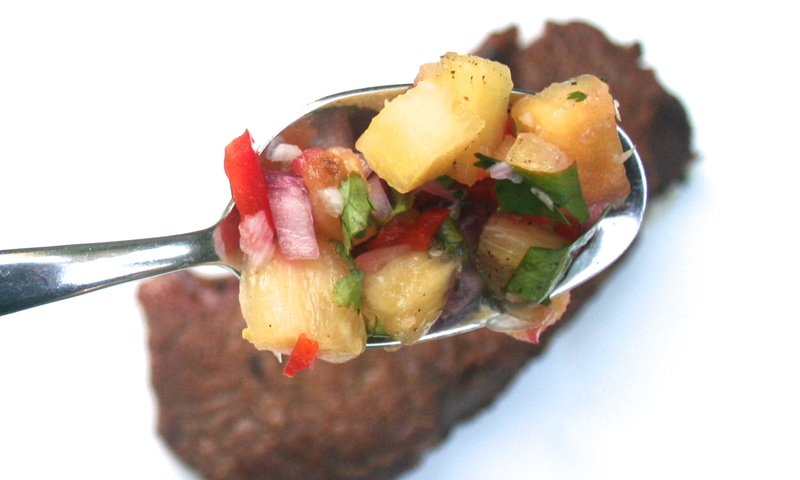 Note: You can make the Pineapple Salsa the day before. Just don’t add the red onion until ready to serve. The red pigment from the onions may tint the other ingredients pink. 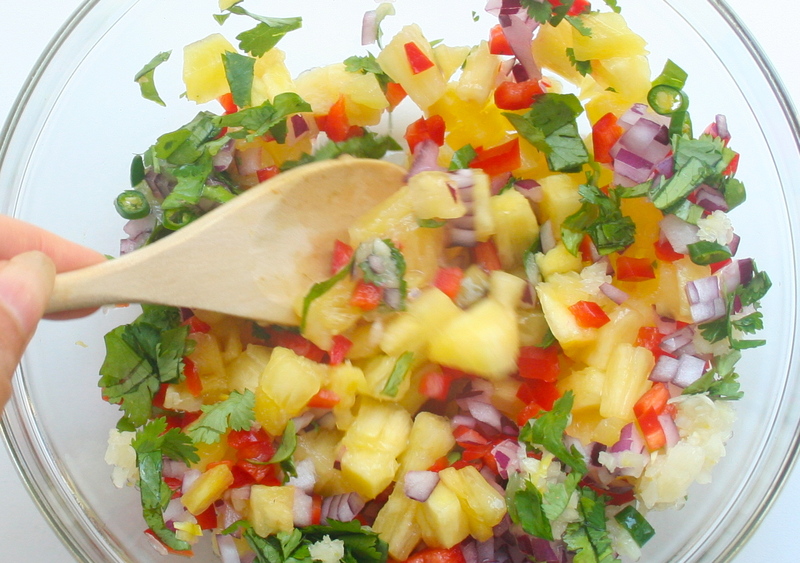 To a bowl, add the pineapple, the red peppers, red onion, coriander, chili garlic and lime juice. Give it a stir. Add salt, pepper and hot sauce to taste. Put into to refrigerator until ready to serve. Grill or broil the steaks to your liking. Let the meat rest for a few minutes. 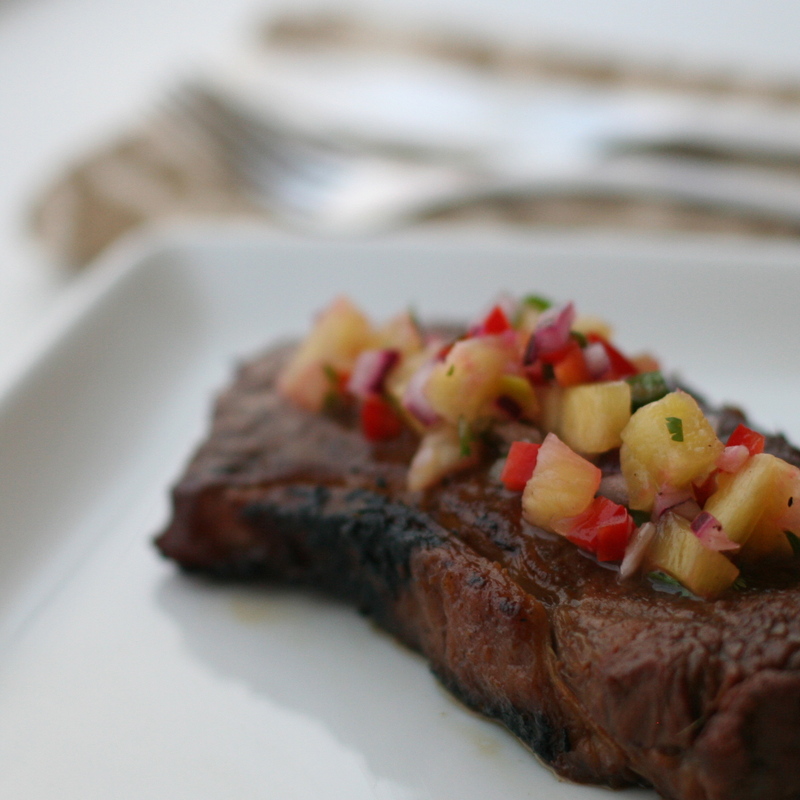 Top steaks with salsa and serve. Both recipes were adapted from recipes found on the web.